Stylianos Michaelides Service Details - Whitby, Ontario | Barnes Memorial Funeral Home Ltd. 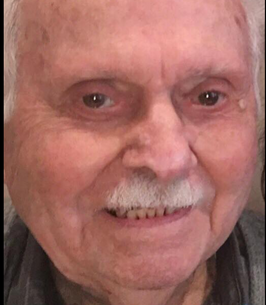 Passed away suddenly at Lakeridge Health Ajax on Monday August 27th, 2018 at the age of 96. Predeceased by his wife Elvira (2017). Loved father of Frank Michaelides and his wife Mirella of Whitby, George Michaelides and his wife Lucy and Peter Michaelides and his wife Koula all of Cyprus and Roza Georga and her husband Petros of Greece. Grandfather of Julian, Alex, Steve, Rania, Christina, Steve, Nick, Maria, Costa, Steve and Elvira. Survived by his sister Angela and her husband Manolis DeGabriel of Australia. Visitation at Barnes Memorial Funeral Home 5295 Thickson Rd. N. Whitby on Thursday August 30th from 2:00 – 4:00 and 6:00 – 8:00 p.m. Funeral service in the Barnes Chapel Friday morning at 10:30 a.m.
Interment Resurrection Catholic Cemetery Whitby. We encourage you to share any memorable photos or stories about Stylianos. All tributes placed on and purchased through this memorial website will remain on in perpetuity for future generations.